For more than 20 years the Commercial and Real Estate attorneys at KALIS, KLEIMAN & WOLFE have represented lenders in lien foreclosures that can affect their bottom line as well as assist commercial and residential borrowers in preventing or providing remedies when they default on their mortgage loans. A lien foreclosure is a legal proceeding that would allow the lending institution to obtain legal possession of the person’s property (homeowner or business) normally the result of a defaulted mortgage payment. In the event that the mortgagor fails to make payments, the mortgagee has the right to place a lien and ultimately foreclose on the home, property or business. Foreclosure liens are often complex and challenging. 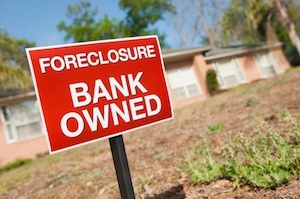 KALIS, KLEIMAN & WOLFE is recognized and experienced foreclosure lien attorneys. Depending on the individual situation, there are many potential remedies that KALIS, KLEIMAN & WOLFE may be able to pursue on your behalf. If you or your business needs legal help pursing or resolving an a Florida lien foreclosure matter, mechanics lien, mortgage lien, tax lien, or if you have questions regarding your legal rights, contact the experienced Commercial Litigation Attorneys at KALIS, KLEIMAN & WOLFE, the South Florida-based law firm today at (954) 791-0477.